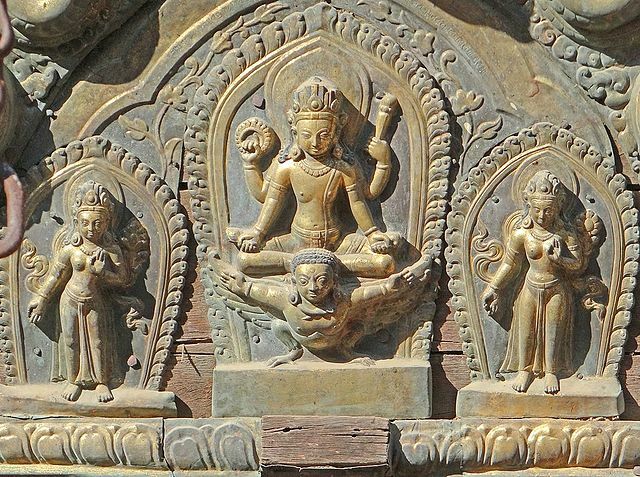 画像の説明：This is part of an arch in Aluvihara. 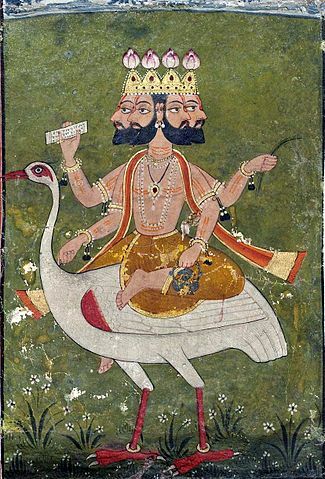 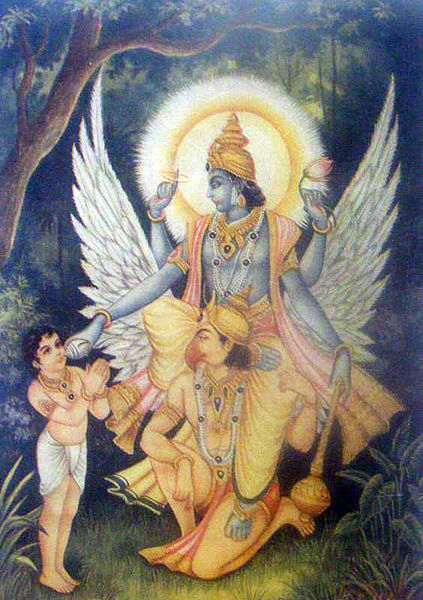 In the center Brahma rides a goose. 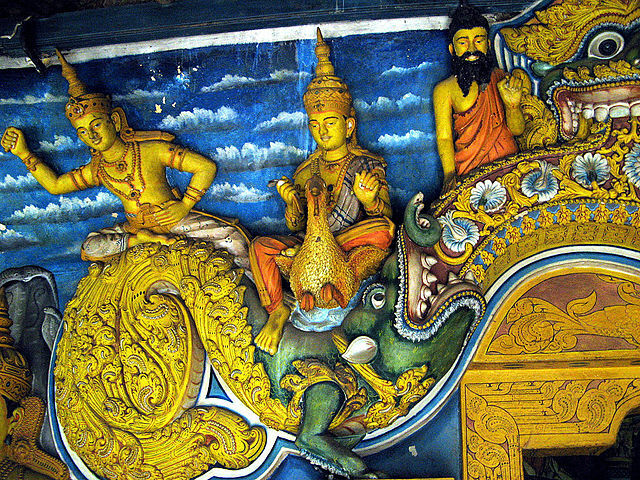 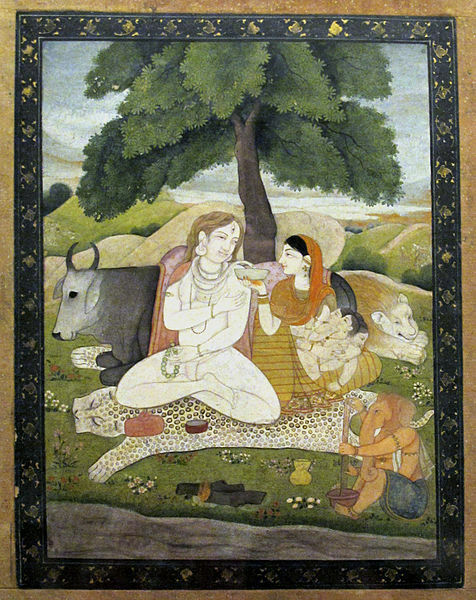 To the left a guardian rides a makara, while a holy man is seen to the right. 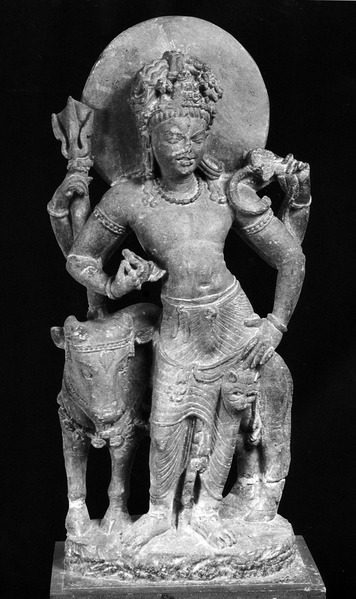 Sculpture of Shiva from Shamlaji.